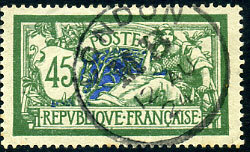 dated 12 AU 24 on France 45c. 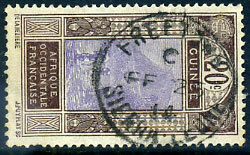 arrival dated C/FE 25 14 on French Guinee 20c. (Rob. 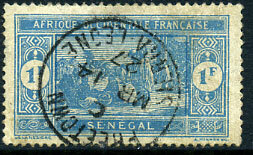 MB.3) dated 19 JU 04 on France 25c, central paper bends. (Rob. 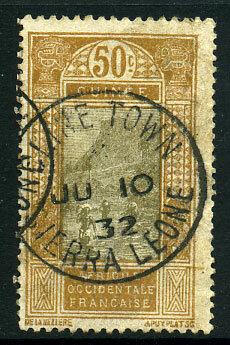 MB2) dated 9 20 85 on France 25c. 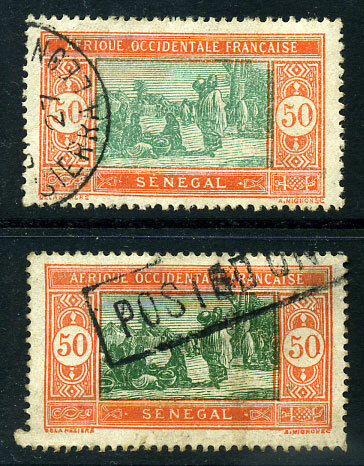 arrival dated C/MR 14 27 on Senegal 1F. (025.03) */JU 10 32 arrival on FRENCH GUINEE 50c, minor creasing. 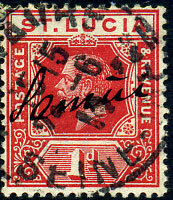 tying piece with KE7 1d PSE with added QV 1½d tied 7 AVRIL 03 datestamp.